On December 2, the UMBC Dresher Center for the Humanities presents a lecture and discussion featuring a new digital humanities project, "Mapping Memory: Digitizing Sherman’s March to the Sea," that uses storytelling to explore Sherman’s historic 1864 March to the Sea. 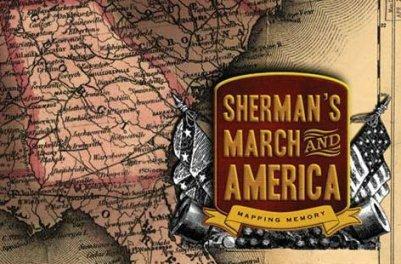 Associate Professor of History and Director of the Center for Digital History and Education at UMBC Dr. Anne Sarah Rubin recently published a book on Sherman’s March which provided the content for this interactive, online storytelling project. Here she tells us more. The study philosophy explores the human condition and searching for meaning in the world around us. Today, public philosophy brings the practices of philosophy to public forums to address social, ethical, and other contemporary issues. This year marks the 150th anniversary of the end of slavery in Maryland. With MHC support the Prince George’s chapter of the Afro American Historical Genealogical Society is hosting its 19th annual Maryland Legacy Day on November 15, exploring the significance of this historic event and its legacy. On November 10, the Bob Parsons Veterans Center, the Maryland Humanities Council, and Spotlight UB present "Veterans’ Voices," a free evening of readings by veterans about their experiences, followed by facilitated discussion. When Dr. Elmer Martin and his wife Dr. Joanne Martin founded the nation's first black history wax museum in a store-front in downtown Baltimore in 1983, the museum featured 22 wax figures on display. What connections could be forged if everyone in the state read the same book? Now in its seventh year, The Maryland Humanities Council's One Maryland One Book program encourages discussions across our entire community--from avid readers to reluctant ones.